Winona Ryder at the Screen Actors Guild Awards. And the award for performance by an ensemble cast goes to . 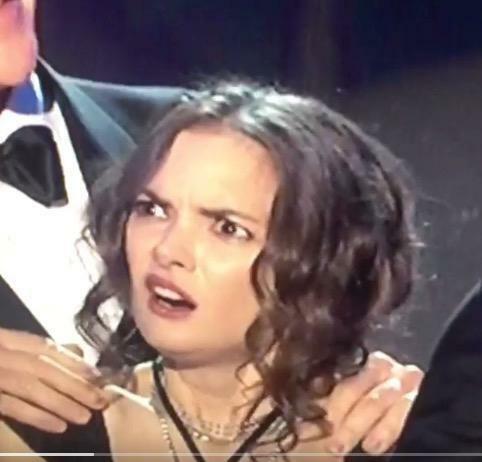 . . Winona Ryder’s face at the SAG Awards. Her free-wheelin’ wincing, grimacing, and fist-pumping through costar David Harbour’s fiery acceptance speech (“Stranger Things” won for ensemble cast in a drama) was as lovably unhinged as her performance in the sci-fi series, so the fact that she appeared to be trying to swallow a defiant hummingbird actually seemed right in line with her character. Glaringly absent from Harbour’s rousing political speech: Any call for justice for Barb. According to a report in the Wall Street Journal, Swedish furniture retailer/marriage destroyer Ikea has “plans to roll out soon what it calls its first ‘open source’ sofa,” allowing customers to “hack” pieces of furniture and customize them to their needs. The company calls the forthcoming line Delaktig, and says the project “challenges the traditional concept of comfort” — which I gotta say sounds a lot like the bed I already have from Ikea. Unfortunately, customers will not be able to customize their own product names, leaving whatever FLERFENBURGLE is to furnish only the empty quarters of your dreams.